San Diego is known for its mild climate, but our winter nights get chilly! There are many reasons that maintaining and checking the condition of your facility’s heating system is important. According to the U.S. Energy Information Administration, heating accounts for over 30% of energy consumption in most commercial buildings, so efficient furnace functioning directly affects your bottom line. Ensuring that your commercial property’s furnace is well-maintained and in working order keeps everyone comfortable and happy. Prepare for the heavy heating system use of the colder months now to avoid any safety or performance problems later. Make sure that your commercial property’s furnace is ready for winter with the following steps. Safety first – before performing any maintenance on your heating system, turn off the furnace’s fuel supply and electrical power. Next, consider the age of your system. Is it too old to make maintenance or repairs worth it? If your heating system is more than 10-15 years old, it might be time to replace it and get a more efficient system. 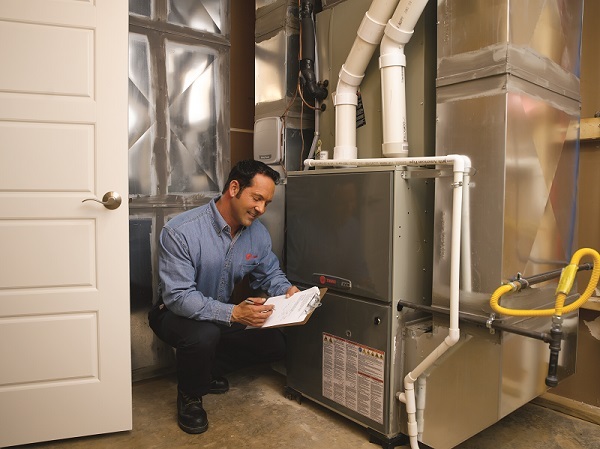 Upon determining that you should keep your existing furnace and that all safety steps have been taken, there are some easy maintenance tasks you can perform yourself without the aid of an HVAC professional. Check your furnace’s air filters and clean or replace them if necessary. The air filters should be checked once a month. If you need to replace the filter, make sure the new one is compatible with your system. Correctly sized, clean air filters are important to the efficient functioning of your heating system to avoid the undue stress on the system and its components that comes with a dirty filter. Another easy step you can take yourself is checking that the pilot light is lit if you have a gas-burning furnace. If it is out, it will need to be re-lit. You or your maintenance staff can light it yourselves if you are comfortable doing this; contact your local HVAC technician for help if you are not. You can also check the thermostat that controls your heating system. Is it set to the correct temperature to turn the furnace on and off, maintaining a comfortable temperature while running as efficiently as possible? Does the thermostat have fresh batteries so it can function properly? If your thermostat is reading the room temperature incorrectly, new batteries may help fix this problem. If not, you may need the assistance of an HVAC professional to properly calibrate the thermostat. Your local San Diego HVAC professional should perform any necessary maintenance related to your heating system’s electrical components and testing your system for dangerous leaks or damage that can result in low building oxygen levels, carbon monoxide buildup, or fire. Once or twice yearly inspections in spring and fall will discover any such dangerous problems and keep your system working safely. Consider an HVAC maintenance agreement from Precision Temperature. Seasonal checkups and maintenance on schedule means you get peace of mind, plus the savings of catching and fixing potentially expensive problems early. Call us today at 619.588.5321 and let us help you prepare your commercial property’s furnace for winter. When it comes to your home or office comfort, climate control is key. Finding the perfect heating, ventilation, and air conditioning (HVAC) solution for your needs is a careful balance of performance, efficiency, and cost. While choosing the cheapest option is always tempting when making a big purchase like a new HVAC system, cheaper isn’t always better, and may not even be cheaper. Inexpensive, low quality HVAC equipment tends to break down more often than higher quality, slightly more expensive equipment. This leads to costly repair after costly repair or more frequent need for equipment replacement, adding up to you spending more money out of pocket over time than if you had chosen the higher quality model to begin with! And if you choose to replace your inexpensive, broken down unit with another inexpensive unit, the cycle continues. Cheaper HVAC systems are usually also less efficient in their operation than their higher-quality counterparts. A decrease in efficiency leads to an increase in energy costs, as the low-quality HVAC system works harder and requires more energy to achieve the same heating or cooling results as a higher-quality system. Not paying very much for your HVAC system may seem like an attractive choice, but if your heating and cooling doesn’t perform as expected, you’ve wasted your money! 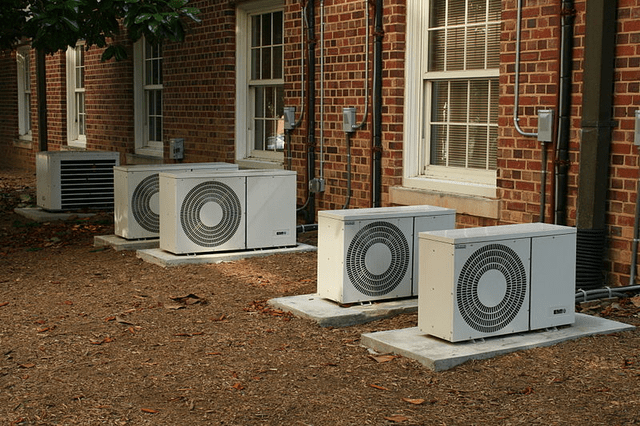 There is a reason that HVAC unit doesn’t cost much, and it can usually be attributed to it not being built well. This low-quality equipment translates into lowered comfort for you and your family when your inexpensive HVAC system can’t cool your home down on a hot San Diego summer day. At Precision Temperature, we take the long view on saving you money and we’re honest in our assessments of your needs. A quality HVAC unit may come with a large price tag, but will save you money over time. Plus, we offer a variety of financing options to help fit the HVAC unit of your dreams into your budget. Call us today at (619) 588-5321 and let us help find the perfect HVAC system for you.